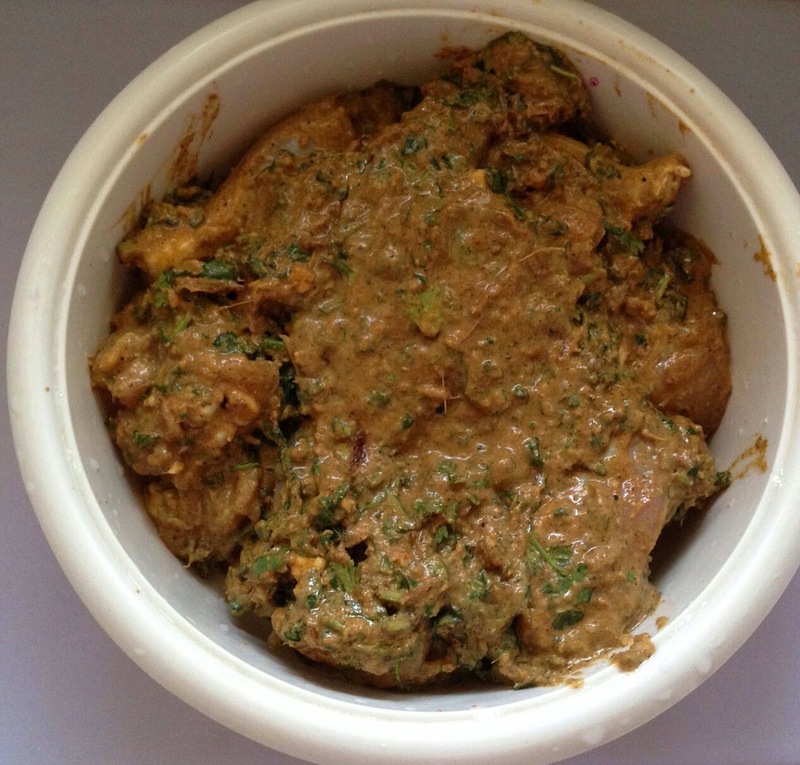 Dry roast all the ingredients listed under biriyani masala and grind it to a fine powder. 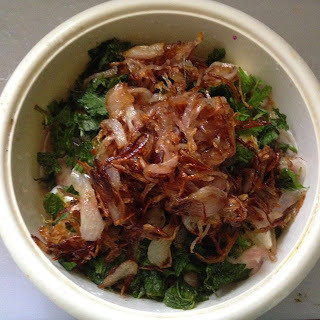 Also fry the thin sliced onion in a pan with little oil(this is the very unique and important step in hyderabadi biriyani. So let’s marinate the meat . In a large bowl, add all the marinating ingredients. Put yoghurt, ginger garlic paste, Red chilli powder, Turmeric powder, Garam Masala powder, papaya juice,Lemon, Fried Onions, Green Chillies, Coriander (finely Chopped), Mint ( finely chopped),Salt to taste, oil/ ghee. here I am using ghee or clarified butter. This is one of the secret ingredient of making good tasty biryani. and mix well.Now cover and keep it in the refrigerator for atleast 2-3 hours. In a large pan, bring water to boil and put shahi jeera, 1″ cinnamon stick, turmeric powder,lemon ,2 bay leaves,in and it come to boil. Now our rice is ready. It should be half cooked. 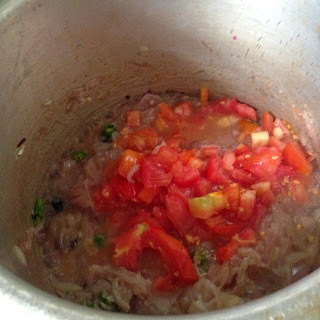 In another pan add onions and whole garam masalas,green chillies,ginger-garlic paste..
Then add the marinated mutton and cook for 5 to 6 whistles. 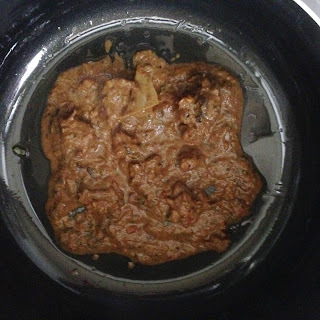 Now the masala for biriyani is ready. Our rice is cooked, meat marination is done. Now it’s time for assembling.Put the mutton on the base of a pan in which you are going to make the biryani. 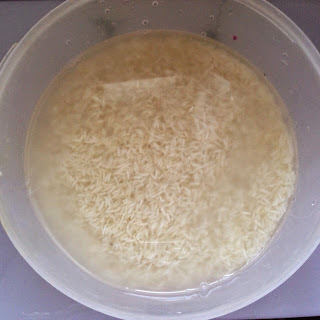 Put the half of rice on the top of the mutton. 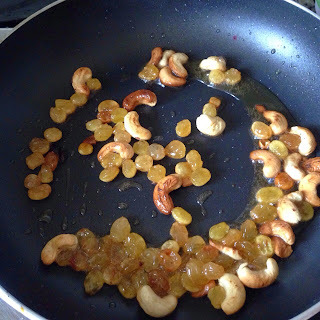 Above it add the gravy,coriander leaves,pudina and cashews and raisins. Now add rest of the rice on it and spread rest of the coriander leaves, meant leaves and ghee.and raisins. Let it be in dum for an hour. 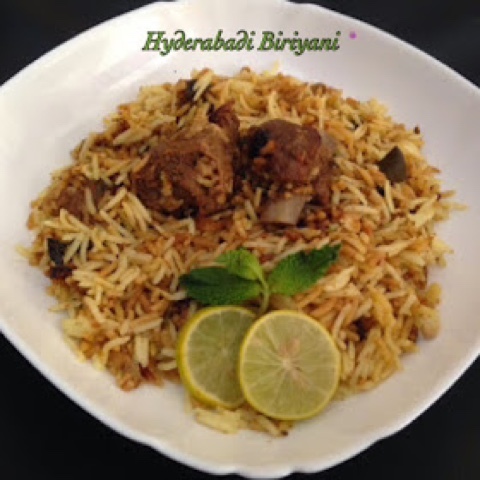 Yummy Hyderabadi mutton biriyani is ready.Serve hot and enjoy.